They’re 3 words that kill any brand. Nobody Deserves Anything. Now, Embrace the Hustle. Our culture (and business) has become infected with a debilitating disease. It’s called “Entitle-tosis” and it’s spreading at an alarming rate. FACT: No one is entitled to anything. It’s like this: people and brands that hustle intelligently win. Those that don’t fail. No talent deserves being overlooked. No ingenuity deserves being ignored and suffering failure. No entrepreneurial effort deserves the embarrassment of defeat. Yet, failed brands that simply show up (with a bad case of “Entitle-tosis” in their mindset) find that they failed to hustle enough first. In part because they don’t see the opportunities nor the barriers that stare them in the face very day, every hour. It’s like my buddy Daymond John says, We each have 24 hours in a day, yet the difference between what we each achieve covers the spectrum. So what are you going to do that’s different? Success comes with a price: paying attention, before, during, and after any event. If one eliminates the “the secret to my success is out there,” then you have a foundation since you’re not then looking elsewhere for the power to change things other than in the mirror. 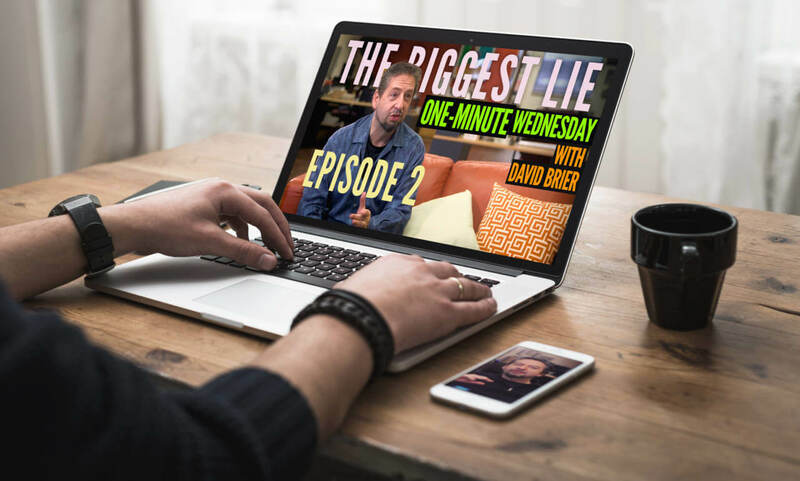 If you missed Episode 1 which covers how to go from practitioner to genius in 60 seconds, click here to view.